What Happens When You’ve Discovered A Family Member’s Secret Life After They’ve Died? What happens if you find out your late husband was unfaithful? Or your deceased grandpa was a Nazi? Advice from a grief counselor and those who lived through it. Grief is complicated enough — the death of a loved one can turn your world upside-down as you try to move forward and make sense of a new life without that person. But what if, once some time has passed and the world starts to make sense again, the wound is reopened by some startling new information? It could be something as simple as finding your late father’s financial documents as you’re sorting through his stuff: What do you do with these things now? Then again, maybe you find out something even more secretive, so contrary to the person you knew that it changes your impression of them. What then? No matter what it is, it probably won’t be easy, so we’ve reached out to a few people to help guide you through this process. First off, if you find something that looks important — a will no one knew about; property deeds; mountains of debt collection notices — there’s a system in place for what to do with them. 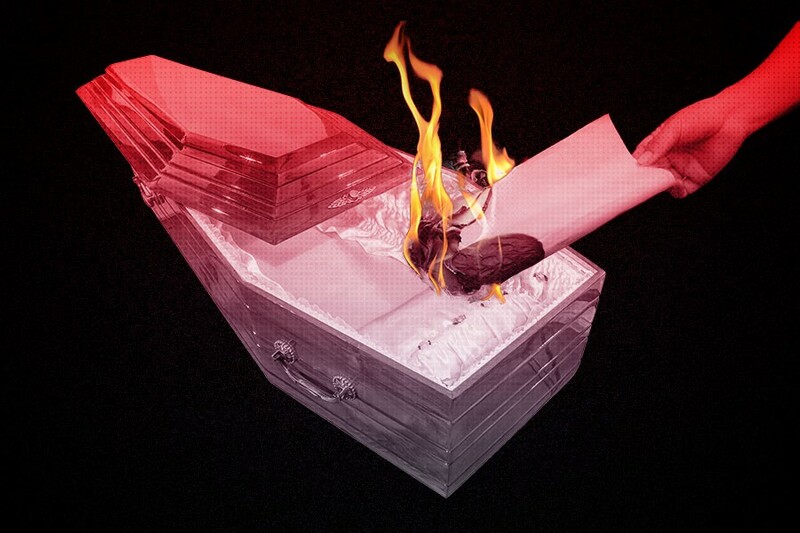 “Give it to the executor of the will,” says George Kontogiannis, an estate attorney from Westchester County in New York. “The image you see in movies where someone goes to a reading of the will, and they hand out the checks at the end is complete fiction,” says Kontogiannis. Instead, after someone dies and an executor is named, there’s a waiting period of seven months to get that person’s affairs in order. This includes debts, possessions, finances and any other legal issues that may arise, all of which would be handled by the executor or someone assisting them. Debt would be handled before anyone is paid out from an estate after the seven-month period. If you find something of value, that would be added to their estate and distributed out with the rest. As for a will, if it’s found for someone who didn’t have one, or if it’s newer than the one on record, that will now take effect, assuming it had been properly drafted by an attorney. This can get complicated in the case of a will because, if you don’t have a will originally, “the state will impose one on you,” says Kontogiannis. If this newly discovered will contradicts what was imposed, much of what happened previously can be undone, even years later; the specifics, however, would have to be sorted out by a judge, and if it’s a case where the executor is no longer around, Kontogiannis says that a will generally has a line of succession. For others, the hardest discoveries were about parents. “I grew up in an environment where my mother would say things like, ‘You don’t want to know that,’” says psychologist Karen McClintock, referring to the times she’d ask a question about a face in a photo album, or had other, perfectly normal questions about her family. Later, she discovered that her father was gay, a story that she details in the memoir My Father’s Closet, published by Ohio State University Press. Ultimately, McClintock learned to cope by digging deeper and deeper, eventually writing this memoir with the help of the university where her father worked. “Children have a right to know,” she says, having found that the best way to make sense of things was to find out everything she could. Knowing the truth, she says, helped her gain an understanding about her mother, and a gay father living in a time where his sexuality wasn’t accepted. He would eventually find that his grandfather was “a member of the secret Talmudkommando, a group of scholars given the task of sorting stolen books, for which he was given a number of special privileges that essentially saved his life. He also discovered that my grandmother and her mother (both converts to Judaism) were involved in smuggling food and medical supplies into concentration camps.” This, along with other details, would make their way into his memoir Book of Dirt, where he recounted his discoveries. But while digging brought a sense of relief to the authors above, grief counselor Amy Olshever says that this may not be the case for everyone. She advises that you may want to “assess what the benefit is of finding out if it’s true. If not knowing is going to make you anxious and you’re going to obsess over it, you might need to do some work on it.” But if you get information that doesn’t sound right to you, she continues, there’s nothing wrong with choosing to believe it’s not true and continuing on with your life, believing that person was still the same person you knew. Olshever describes this as “functional denial,” elaborating that, “while the word ‘denial’ gets a bad wrap, it’s simply a defense mechanism for the psyche.” In certain situations, she argues, it may be useful and even helpful to move forward and live your life this way. “As long as it isn’t affecting your functioning,” Olshever explains. The unearthing of family secrets, Olshever continues, falls under the umbrella of “unfinished business.” In addition to talking about it in therapy and exploring the feelings surrounding it, she shares that some successful exercises that can be utilized in this situation are drafting an unsent letter to the deceased person expressing your feelings, as well as an exercise referred to as “the empty chair” (where you have a one-sided conversation with someone, or even act out both parts, to hopefully gain an understanding of the thinking of the deceased). Olshever says that in both of these exercises, not only does it help the person to identify what they’re feeling, but oftentimes, “even though you can’t have that conversation or express those feelings to that person, your brain kind of understands that you did anyway.” She also notes that if you hear something from someone, “I’d be very careful about vetting the source of it and not automatically believing it to be true, because all you have to go on is that person’s perception.” This perception, she argues, can vary wildly from person to person, even in members of the same family. Regardless of what you discover, or how you may decide to deal with it, Olshever tries to offer some comfort by saying, “It happens way more than you think.” By talking about it in therapy or with someone you trust, you may find that your story doesn’t need to make you feel so alone.